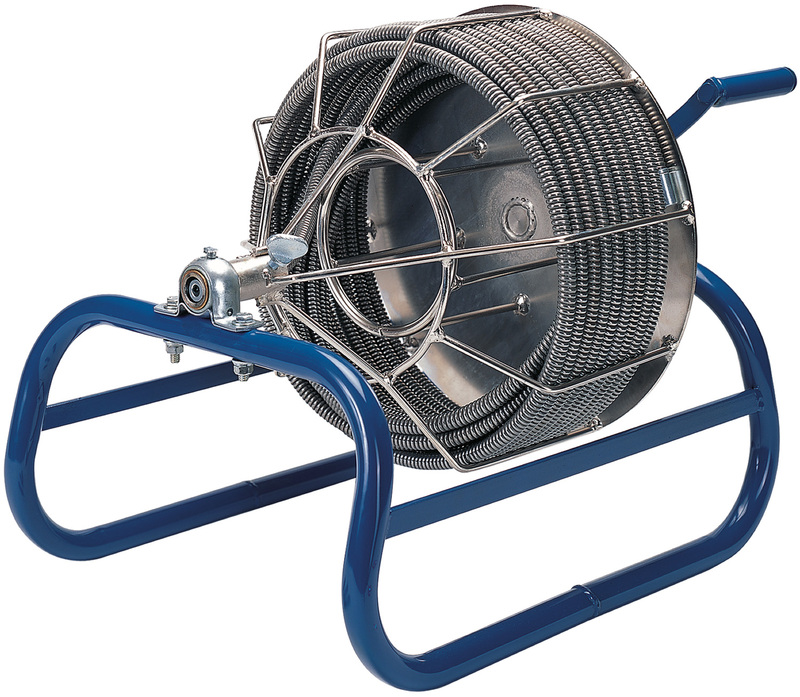 Economical easy-to-use hand operated unit for 1-1/4" - 3" diameter lines up to 100 Ft.
Powder coated steel cage rotates freely. Self-aligning bearings. Thumbscrew locks cable at front of cage. Comes with 1/2" diameter monowire cable or 1/2" aircraft wire reinforced inner core cable.